08.17.98, St. Petersburg Times, Sheriff's deputies coax man out of Tampa Bay. Manatee County sheriff's deputies spent several hours Saturday evening trying to persuade a man swimming in Tampa Bay to be taken back to shore and to a mental hospital. Deputies first discovered the man at the southern Sunshine Skyway rest area about 5:30 p.m. after receiving a call that someone was trying to commit suicide from the bridge. The man ran away from an officer and jumped into Tampa Bay, where he refused to be rescued by authorities. The sheriff's dive team finally persuaded the man to give up. The Manatee Sheriff's Office would not release the man's name Sunday. tbo.com, Parked car on southbound side of center span, got out, jumped. TAMPA - A 35-year-old Bradenton man jumped to his death off the Sunshine Skyway Bridge just before 3 a.m. Monday, said Lt. Greg Brown, spokesman for the Hillsborough County Sheriff's Office. Evans was at least the 11th person to commit suicide this year by jumping from the bridge. In 1997, eight people fell to their deaths from the span. Stephanie Lee Banasiak, 45, rented a 1998 Chevrolet Cavalier on Monday afternoon at St. Petersburg-Clearwater International Airport. I do not know why she chose a Chevrolet Cavalier, or why she did the things that she did afterward. At about 7:30 p.m., she was driving south on Interstate 275, toward her home in Bradenton. At the top of the Sunshine Skyway, she pulled her car onto the shoulder and got out. It is a glorious and scary view. Over your right shoulder you can see St. Petersburg, and the white outline of Tropicana Field. Behind your back, far to the east, if the sky is not too hazy, you can see the skyline of downtown Tampa. The deck of the bridge shudders menacingly under the weight of passing cars. A steady, strong breeze whips your hair as you stand there under the giant, graceful web of the bridge cables, 200 feet above the water. Look straight down and the tiny whitecaps seem deceptively close; only when you raise your eyes and look around do you realize how high up you are. The sun was within an hour of setting, and low in the western sky, when Stephanie Lee Banasiak stopped her car, got out, got up on the concrete wall, which is only about 31/2 feet tall, and jumped. In all of last year, eight people did it. The year before that, there were six. I talked Tuesday to some good people at the Crisis Center of Hillsborough County (the center of the bridge, from which most people jump, is in Hillsborough). I asked them if publicity about these deaths encourages copycats. Anyone who has read or heard about these things happening on the Sunshine Skyway, and who feels desperate enough to follow, should take one more second, one more minute, and dial an easy telephone number first. "Suicide is a very permanent solution to a temporary problem," Bev Hanney, a spokeswoman for the crisis center, said sadly Tuesday afternoon. "They just for the moment feel so hopeless," Hanney said. "That's why it's so important to let this community know that there is a resource. It's free. It's confidential. It's anonymous." The crisis center is working with GTE to install crisis telephones atop the bridge. There already are 18 telephones along the 4.1-mile span to link motorists to road assistance, but none are exactly in the right spot. More problematic is whether the Department of Transportation can install a fence or some other sort of barrier to make jumping harder. The waist-high concrete wall is no obstacle. The department is looking at what others have done to make bridges less accessible. That will be finished in about 60 days. But any remedy is likely to be expensive and complicated -- and not, so far, in any budget. The Skyway is a bit of an orphan, geographically speaking. It links Pinellas and Manatee counties, but lies in Hillsborough. There are no voters or taxpayers there; no feeling of political responsibility that would spur one mayor or another, one county commission or another, one local legislator or another, to lead the way. So we wait for studies, while the crisis center works with GTE to at least put a telephone in the right spot, to give those who stop there one more chance. In the meantime, for those who go to the Skyway, intending to do this final thing, the only "one more chance" will come from themselves. Before you go, before you even get in the car, dial this number. A woman apparently jumped to her death from the Sunshine Skyway early Monday evening, officials said. Hillsborough County sheriff's officials said the body of a white female in her mid-40s was recovered by a private boater shortly after she jumped from the bridge about 7:30 p.m. The death was the 10th suicide from the bridge this year. A witness on the bridge saw the woman jump and reported it within minutes, said sheriff's Deputy B. Bryan. He said the victim had been identified, but officials were withholding that information pending notification of the woman's relatives. Correction (5/28/98): The woman who jumped to her death Monday off the Sunshine Skyway bridge was Stephanie Lee Banasiak. Her name was misspelled in a story Wednesday. A woman who jumped to her death Monday from the Sunshine Skyway Bridge has been identified as Stephanie Leigh Banasiak, of [address withheld], Bradenton. Banasiak, 45, parked at the top of the southbound lane on the bridge about 6:50 p.m. and jumped over the railing, Hillsborough sheriff's deputies said. An unidentified boater pulled her from the water and took her to a marina. 05.16.98, sptimes.com, St. Petersburg, Fla. He has no training in crisis management. He has never done any counseling. But three times in the past four days, Florida Highway Patrol Trooper James C. Covert has managed to talk distraught people out of jumping off the Sunshine Skyway bridge. The 27-year-old former carpenter says humility and the ability to engage each person in conversation went a long way in helping him prevent three potential suicides. "I just want to get them to talk to me," said Covert, who most recently persuaded a middle-aged man not to jump from the bridge late Thursday. "I assured him I wasn't that brave that I could wrestle somebody on the top of a bridge where I could go over myself." But Covert's supervisors say the trooper has a special gift. They have recommended he receive a commendation for bravery. "It takes a special person to do what Covert did and make it go right," says Highway Patrol Lt. Mike Guzman. "That kind of thing can turn on you in a second. . . . He definitely is above the norm in being able to talk to people at a time when the end is near." Covert says he doesn't understand why so many Tampa Bay residents recently have committed suicide from the Skyway. Nine people have taken their lives from the bridge already this year. Eight people committed suicide off the bridge in all of last year. The increase in deaths has caused some Tampa Bay residents to call for fences and phone hot lines to be installed along the bridge. "It seems a little busier," Covert said. "I don't know if the recent publications about people going up there . . . if that's spurring people or encouraging people to go up there. . . . I don't know." Covert joined the force nearly three years ago. He was raised in Darian, N.Y., and graduated from the State University of New York- Brockport with a degree in criminology. While a class at the police academy offers instruction in how to handle potential suicides, troopers learn how to defuse crisis situations through on-the-job training, Guzman says. Normally, Covert is assigned to patrol state highways on the midnight shift out of the Pinellas Park district. He says he does not routinely cover the Skyway, but that changed earlier this week when he was dispatched to the top of the bridge to help a stranded motorist. As he approached the car, he found an elderly woman standing next to the guardrail, looking off into the distance. Covert says the woman appeared to be in good health. As soon as she started complaining about problems at home, he said, he realized her car was not the problem. She openly told him she was going to jump. "It sends shivers up your spine," he said. "I wanted to know what they were thinking. . . . I wanted to hear what they had to say and try what I could to remedy it. I tried to create a little bit of a rapport." Covert says the 15-minute conversation felt as if it lasted five hours. In the end, he persuaded the woman to drive her car to the nearby pier, where the two discussed her problems. The woman was admitted to a hospital for psychiatric evaluation. Early Tuesday, Covert was pulled off an assignment and sent to help a disabled motorist at the top of the Skyway. When he arrived, he found a middle-aged woman who said she had problems at home. "The first time it caught me off guard," he says. "The second time, I was hoping it was just a disabled vehicle. A tire change or a tow truck or something like that." Again, Covert got the woman to drive to the south fishing pier and talk. She later drove home. On Thursday evening, Covert was patrolling along the bridge when he received his third call. He found a middle-aged man, dressed in a shirt and jeans, standing next to the barrier at the top of the bridge. The man told Covert he was having problems and intended to jump. "I tried to get him to talk about his kids," says Covert. "I tried to explain to him, (his kids) were young and maybe the kids would blame themselves. That's a heavy burden to put on his children." The conversation worked. The man was admitted to a hospital. His bosses were thankful Covert was in the right place to help. "He's special," Guzman said. "Not everyone can do what he did." 06.1998: the first version of this website goes online. Drivers reported that a woman jumped off the Sunshine Skyway bridge about noon Friday. Deputies found a car that had been left on the bridge, but a search of the water below turned up nothing. Hillsborough sheriff's deputies searched for hours. The car was towed away from the southbound span. If a woman was killed after jumping from the Skyway, she would be the ninth suicide from the bridge this year. The last one was John P. Radd, 44, of Lakeland who jumped from the bridge with his dog early Wednesday. The female Rottweiler survived the drop. ST. PETERSBURG -- As Greg Masters steered his boat toward the Gulf of Mexico early Wednesday, his thoughts were on king mackerel. Soon, however, he found himself fishing an entirely different creature from the sea: a 100-pound female Rottweiler who went over the side of the Sunshine Skyway Bridge when her owner jumped to his death Wednesday morning. Masters was the best rescuer the injured animal could have hoped for: The 30-year-old St. Petersburg man has been a veterinarian for five years. "The poor thing was cold and wet and had swallowed a lot of saltwater," Masters said. "This was one true lady. She was very sweet. She didn't hesitate to let us do what we needed to do" to administer first aid. It remained a mystery Wednesday night how the dog, Shasta, came to be in the water along with her owner, John P. Radd, 44, a Lakeland-area man who Hillsborough sheriff's officials said committed suicide from the bridge about 6:20 a.m. Wednesday. Authorities don't know whether the dog jumped from the top of the bridge in pursuit of her master, was pushed, or fell the 197 feet to the bay. Cameras on the bridge didn't capture any of the event, authorities said. Masters first saw Shasta as he approached the Skyway sometime before 7 a.m. Off his boat's port side, he saw a U.S. Coast Guard vessel and a rescue boat scouring the area. Fighting the glare from the water, he passed within 10 feet of the dog floating in the heavy current. As he approached the animal, he saw she was alive, desperately paddling with her rear legs beneath the bridge. Masters grabbed the dog by her metal collar and hauled her aboard. The black and mahogany animal reminded him of his own Rottweiler, Max, he said. "I wasn't sure they were looking for a dog or a human," said Masters, who practices at V.C.A. Animal Hospital in St. Petersburg. Coast Guard officials told Masters they think the dog jumped with Radd from the main span. They couldn't take the dog, they said, because they were still searching for Radd's body, which they later recovered. Masters headed for O'Neill's Marina in St. Petersburg, where paramedics helped administer fluids to the dog. She was taken to the Largo Veterinary Hospital, where she was in guarded condition Wednesday night with injuries to her face and legs, but no broken bones. She is expected to recover, veterinarians said. Police found Shasta's collar and leash in Radd's abandoned car on the bridge. Radd's death is the eighth suicide from the Skyway this year. That equals the number of people who jumped from the bridge during all of 1997. The apparent increase has caused some people in the Tampa Bay area to call for phone hot lines and higher fences along the Skyway. Radd's father, John F. Radd of Lakeland, said he didn't know why his son would want to commit suicide. He described him as a loner who had separated from his wife but said he had not seen him in three years. The younger Radd had one son, worked as a grocery clerk in Lakeland and traveled everywhere with his dog, his father said. "He told his friends he was going fishing," the elder Radd said. Radd's wife could not be reached for comment. Although Masters says Rottweilers are extremely loyal animals, he doubts the dog followed its owner over the bridge. "If I were to guess, she would had to have been thrown off," Masters said. "She had some mild neurological defect to the front right paw" as a result of the fall. But Radd's father thinks the dog followed his son over the side. "He went, and the dog jumped after him," he said. "That's his master. He went everywhere with that dog." Beth Lockwood, executive director for Pinellas County Society for the Prevention of Cruelty to Animals, said the society is trying to determine if Radd's family will accept Shasta. If not, she will be put up for adoption. "I just hope she does well," Masters said. "With Mother's Day coming up, I hope she has some family who will care for her." 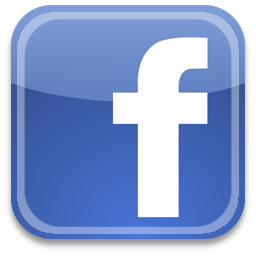 -- Times researcher Barbara Oliver contributed to this story. ST PETERSBURG -- Animal lovers have flooded telephone lines, seeking medical updates and a chance to adopt Shasta, the female Rottweiler who survived a 197-foot fall from the top of Sunshine Skyway bridge early Wednesday. The dog's owner, John P. Radd, 44, of Mulberry in Polk County, died after jumping from the span. Radd's family declined to take Shasta, preferring to place the animal for adoption, said Beth Lockwood, executive director of the Pinellas County Society for the Prevention of Cruelty to Animals. Lockwood said Shasta is suffering from neurological damage to her front right paw and that she expects the animal to be at the Largo Veterinary Hospital for several weeks. Meanwhile, the SPCA is taking names of animal lovers who want to adopt the 7-year-old canine. "In the past two days, we took about 300 calls on the dog," saidLockwood. "We have an application process (for those seeking to adopt Shasta). They have to own their own home, no children under 15 because of the breed and the age, have a fenced-in yard and be home all of the time. We will sort through the applications one by one. "We're telling everyone, "Yes this dog has a good story, but we have about 100 dogs up for adoption,' " she said. "Every animal has its own story. It's not as sensational as this one. They all need homes." Roseann Coletto, a nurse at the veterinary hospital, said close to 40 people have called inquiring about Shasta's well-being. "They all want to adopt the dog," said Coletto. "She's doing very well." A St. Petersburg veterinarian on a fishing trip plucked Shasta from the heavy currents underneath the Skyway around 7 a.m. Wednesday and quickly administered first aid to the animal. Police found the dog's collar and leash in Radd's car on the bridge. It's still unclear whether the animal pursued her master 197 feet down to the water or if she was carried with him or thrown over the side before he jumped. LARGO -- Shasta, the black and mahogany female Rottweiler that survived a fall from the Sunshine Skyway bridge last Wednesday, will be going home again. John P. Radd of Polk County committed suicide from the bridge, but Shasta somehow survived the 197-foot plunge. Radd's estranged wife, Donna Radd, 33, of Lakeland said Friday that Shasta will be returned to an undisclosed Polk County couple who had asked her husband to care for the dog. Mrs. Radd said she declined to take the animal because she has the couple's 9-year-old son and is unsure of the dog's temperament. "A woman gave it to John to care for when she got sick," said Radd. "He had her for the last five years. I don't want to take the chance." Radd, 44, jumped from the main span of the Skyway bridge around 6:20 a.m. Wednesday. The dog either went with him or followed. His widow said events leading to her estranged husband's suicide began Sunday, when he set fire to a mobile home he was renting, destroying it and its contents. The Polk County Sheriff's Office confirmed that a fire occurred at the G & H Park, 4105 Ryals Road, in the Willow Oak area of unincorporated Polk County. Radd said her former husband lived at the address. "He had all of the papers on the table like he wanted them to burn," she says. "I haven't seen him in two years. We were supposed to go to court on June 5th for child support." A St. Petersburg veterinarian out on a fishing trip rescued Shasta from beneath the bridge and administered first aid without knowing how the dog got in the water. Shasta is recuperating at the Largo Veterinary Hospital. She suffered some neurological damage to her front right paw. News of the dog's survival caused hundreds of animal lovers to call the hospital seeking medical updates and information about adopting. Although Radd declined to reveal the name of the Lakeland couple who will take the pet, she said Shasta will have a loving home with plenty of room to run. "They'll take real good care of her," she said. "They have two other dogs and a fenced-in yard." LARGO -- A custody battle of sorts has begun over Shasta, the Rottweiler who was rescued under the Sunshine Skyway bridge last week after falling to the water when her owner jumped to his death. Beth Lockwood, executive director of the Pinellas County Society for Prevention of Cruelty to Animals, says two women came forward to claim the dog. The dispute forced Lockwood to play detective, researching American Kennel Club records and examining veterinary bills. Ultimately, the decision was largely left up to Shasta. The dog survived a 197-foot fall Wednesday when her master, John P. Radd, 44, committed suicide by jumping from the Skyway. It will never be known how Shasta wound up in the water, too, but she was fortunate that a veterinarian happened to be passing under the Skyway on a boat a short time later. He rescued the dog. Shasta's rescue caused hundreds of animal lovers to call the SPCA and the Largo Veterinary Hospital where she was taken, volunteering to adopt the dog. But after reviewing all the evidence, Lockwood believes Shasta identified the real owner. The first prospective owner to come forward, Nancy Ward, 55, of Lakeland, says she loaned Shasta Von Drasek, a pedigreed Rottweiler, to Radd five years ago while recovering from heart surgery. When she heard that Radd committed suicide by jumping from the Skyway with a dog named Shasta, she called the animal shelter and brought her pedigree papers to the hospital. But when Ward on Friday faced the dog she believed was once hers, Shasta was downright rude. "The dog was scared to death and snarling at everybody," says Ward. "But I figured if I had just gone off the Skyway, I'd be snarling, too. She was upset, so I just left the room." Then Lockwood received a phone call from Sherry Danella of Tampa, a former co-worker of Radd's. After talking with Danella, Lockwood now thinks the first Shasta, the one Ward originally bred, died some years ago and was buried behind Radd's mobile home in unincorporated Polk County. Danella said she and Radd found a second Rottweiler, hungry and abandoned in a Lakeland park. Together, the two nursed the animal back to health. The new dog, also named Shasta, was accustomed to being around Danella's child. When mother and child saw Shasta at the Largo Veterinary Hospital, the animal recognized them immediately, Lockwood said. Lockwood also consulted veterinary records brought by Danella and compared surgical scars to make sure the dog is the right animal. "The dog recognized the child," says Lockwood, who originally said the animal would have to be adopted by a family with children 15 years old or older. "This dog knows that child. In this particular case we'll make an exception. . . . I'm 90 percent sure, she'll get the dog." The remaining 10 percent depends on Danella's mobile home park. She is trying to get it to agree to allow Shasta to come home with her. Danella did not want to talk with a reporter about her efforts. Meanwhile, Ward isn't quite ready to abandon her pursuit. She wants to be absolutely certain that the Shasta that jumped from the Skyway bridge is not her dog. "If it's the dog that I gave John, then I want her," she says. "I've got to know in my own mind. I want her got for the right reason, because you love the dog." LARGO -- The Rottweiler who survived a fall from the Sunshine Skyway Bridge last week is gaining international fame, but the acclaim hasn't gotten Shasta any closer to finding a home. Sherry Danella of Tampa, the ex-girlfriend of Shasta's former owner, has decided to let someone else adopt the dog after determining that her mobile home park is too small, said Beth Lockwood, executive director of the Pinellas County Society for Prevention of Cruelty to Animals. "She loves the dog enough to let go," Lockwood said. "This dog can have a great home if someone is willing to care for it." Shasta's plight has caught the attention of shock-jock Howard Stern, the British Broadcasting Corp. and the Canadian news media, Lockwood said. All have called to ask about how Shasta came to be where she is, in a Largo veterinary hospital. It happened the morning of May 6 when Shasta's owner, John D. Radd, 44, of Lakeland, jumped to his death from the Sunshine Skyway. Somehow, the dog also fell from the span, though it will never be known whether Radd carried his beloved dog with him. Shasta was lucky. A St. Petersburg veterinarian happened to be passing under the bridge on a fishing trip just a short time after the fall. He grabbed the dog from the water and began to treat her immediately. Shasta suffered neurological damage to her front right paw. Within days, two owners, both claiming to have paperwork, came forward to claim the dog. Lockwood soon realized Radd had two female Rottweilers named Shasta. The original Rottweiler died several years ago. Veterinarian records proved that Danella had once cared for the canine. Lockwood had hoped to place the animal with Danella, pending word from the mobile home park. But after reviewing the premises and speaking with the owner Thursday, all sides agreed that Shasta needed a new home. Lockwood says she has received about 50 applications to adopt the Rottweiler. She intends to reopen the process Monday for any Pinellas County homeowner with the financial means to pay for the dog's veterinary bills. Potential owners cannot have young children and must have time to perform therapy on the animal. Shasta's medical treatment has cost about $1,000, three quarters of which has been paid for by the SPCA. "She will need a lot of care," Lockwood said. "The dog has been through a lot and deserves the best. We'll make sure it gets the best." 06.07.98, sptimes.com, News leads TV through an ethical maze, Man dies, dog survives; how to cover? The first challenge presented itself early in the month, springing from the May 6 suicide of John Radd, a Lakeland area man who took his life by jumping off the Sunshine Skyway bridge with his dog, Shasta. Immediately, a conflict emerged between area news outlets' general aversion to covering suicides and the almost made-for-TV poignancy of a dog that survived its owner's fatal plunge from a bridge that has been the site of 10 suicides in 1998 alone. 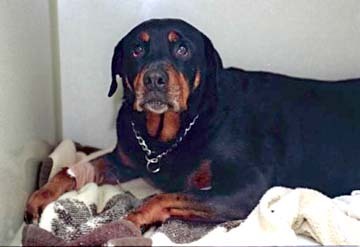 Eventually, most TV news shops pressed ahead in covering the plight of Shasta, the Rottweiler that survived the 197-foot-fall, only to become the subject of a brief custody battle between two friends of Radd, each of whom claimed a connection to the animal. In the process, some people wondered: Has the media's aversion to the details of suicide created a situation where we hear more about the dog that survived than the man who died? Melissa Klinzing, news director at Bay News 9, the 24-hour cable news channel, says focusing on the dog emphasized survival rather than death, giving viewers the sense they could still get involved by helping Shasta. "If it was a story about an institution, like a school, it's hard for people to think 'I can fix that tomorrow,' " she says. "But (helping the dog) is a pretty redeeming thing we can do right away." But Steve Schwaid, director of news and production at UPN affiliate WTOG-Ch. 44, has a blunter view: "There's an old axiom in TV news, and I'm not saying it's right, but it says you can always keep the viewer with kids and pets. "There's something brutally wrong with this society when we're more worried about dogs than (people)." The media's aversion to covering suicides has a long history, based on the idea that part of what prompts such actions is a desperate cry for attention. "It's an interesting psychological state potential suicides are in . . . and there's evidence that (media coverage) triggers rather than dissuades them," says Jay Black, the Poynter/Jamison endowed chairman of media ethics at the University of South Florida in St. Petersburg. But Patricia Daly, development supervisor at Personal Enrichment Through Mental Health Services - a Pinellas Park-based agency that helps counsel individuals considering suicide - suggests media coverage that doesn't downplay or ignore suicides but that emphasizes alternatives for those on the edge. "(The media) is in a position to say, 'Here's what the warning signs are' . . . or ask 'What has been done to make it more difficult for people to park their cars and jump?,' " Daly says. "A lot of times, people don't know . . . there's help out there." The dog's former owner died after jumping from the bridge in May, taking Shasta with him. INDIAN ROCKS BEACH -- Shasta, the Rottweiler who survived a fall from the Sunshine Skyway bridge and fascinated animal lovers as far away as Great Britain, has a new owner, a spacious new home and a new boyfriend who chews tennis balls and plastic baseball bats. Carmen Barron, 52, of Indian Rocks Beach, adopted the dog after inquiring about the animal's plight. An avid animal lover, Barron lives on nearly 2 acres of land near the Intracoastal Waterway. Her two-story home is like something out of Dr. Doolittle, the fictitious and eccentric veterinarian who tended to the animals of Victorian England. A red-shouldered hawk and a family of raccoons frequently visit her back yard. Her two adopted cats frolic with her housemate Hank, a 100-pound male Rottweiler with a congenital heart defect, and bass swim in her pond. Although the adoption paperwork is expected to be completed Friday, the Pinellas County Society for the Prevention of Cruelty to Animals has agreed to let Shasta stay at Barron's home. "(Shasta) is just fine," said Barron. "She's been chasing squirrels and egrets. She and Hank are having a great old time. She's only been here a day. I did buy them both a swimming pool." Beth Lockwood, executive director of the Pinellas County SPCA, picked Barron from more than 50 people who applied to adopt Shasta. The dog became an international sensation after she survived a 197-foot fall from the Skyway in May when her owner committed suicide. "It's like a wildlife sanctuary," Lockwood said of Barron's home. "She's raised animals her whole life. Her daughter is in veterinary school. She's also used to Rottweilers. . . . She sounded so right." A St. Petersburg veterinarian out on a fishing trip plucked Shasta from the Gulf of Mexico while rescue officers attempted to recover the body of her owner, John P. Radd, 44, of Lakeland. Florida Highway Patrol officers found Shasta's leash and collar in Radd's abandoned car. As a result of the fall, the 100-pound dog suffered neurological damage to its front right paw. Animal workers also noticed Shasta had an aversion to strangers. But with some medical attention and loads of love, Shasta has made remarkable improvements. "She's done a 180-degree turnaround," Lockwood said. "She's not a vicious dog or an aggressive biter by any means." During the past two months, Shasta has undergone extensive rehabilitation. She still walks with a faint limp. Animal lovers from around Tampa Bay donated money to help pay for part of Shasta's medical bills. The SPCA paid most of the veterinary costs. Lockwood said dog lovers from Great Britain and Canada called the Largo Veterinary Hospital to inquire about Shasta's recuperation. Shortly after Shasta's plight made headlines, a Tampa couple and a Lakeland woman both called Lockwood claiming to be the dog's owner. After some detective work, however, it appeared Radd had owned two Rottweilers named Shasta. The first animal died in Radd's care; the second was the dog who survived the jump. The Tampa couple decided to relinquish its claim to Shasta and have the dog placed for adoption. Barron is delighted with her new addition. "(Shasta) spent the night sleeping on the couch," Barron said. "I came down in the morning and found her sleeping on a pillow that said "Home is where the heart is.'" 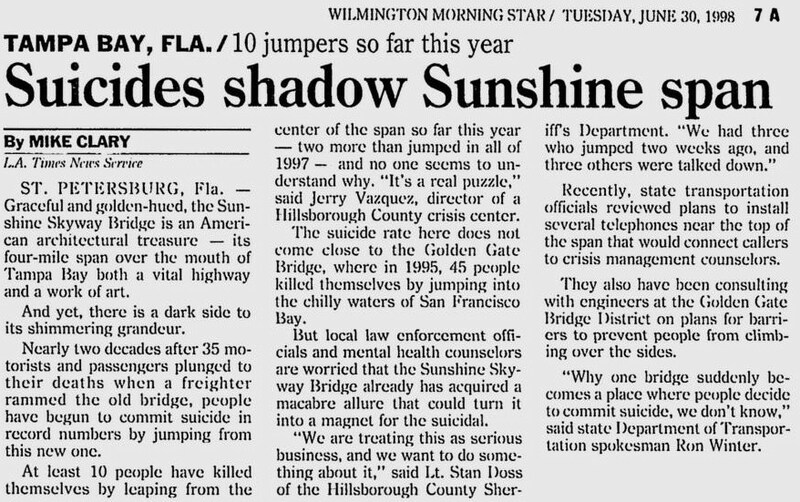 04.13.98: article • For many, Sunshine Skyway bridge is a dark symbol of sadness and loss. On the morning of Dec. 23, Linda Blankenship told her elderly mother she had to run an errand. Then she drove to the Sunshine Skyway and pulled over at the crest of the bridge. Barely four months into the year, seven people have paid their $1 toll and killed themselves, according to the Hillsborough County Sheriff's Office, which has jurisdiction for investigating suicides. Eight people died in 1997, and police persuaded 11 others to leave the edge. In 1996, six people killed themselves. Two people actually survived the fall. Five people were stopped from jumping. Most of the victims were white, middle-aged males. Often, they were intoxicated. "The numbers are going up," said Hillsborough sheriff's Lt. Stan Doss, who oversees suicide prevention efforts. The most recent suicide from the bridge was on Sunday. William David Chester, a 41-year-old Sarasota truck driver with a history of drug abuse, stopped at the toll plaza about 4:30 a.m. Sunday. He handed a worker his watch, wallet and a note with his address. Then he drove to the top. "We used to go fishing down at the pier there," said his grandmother, Alvera Walker, with whom he lived. "I think he just started thinking about his problems and felt desperate. Now, nothing can bring him back." Nationwide, only a small number of suicide victims jump to their deaths. Most suicides -- 60 percent -- involve guns. In 1996, the six Skyway deaths were only 2 percent of some 307 suicides in the Tampa Bay area. But the latest figures place the Sunshine Skyway among the most notorious American bridges for suicide, says Diane Smith, a spokeswoman for the Crisis Center of Hillsborough County, which runs a suicide hot line. The most infamous is San Francisco's Golden Gate Bridge, where 45 people were reported to have jumped in 1995, the last year with available statistics. Jerry Vazquez, president of the Crisis Center in the Tampa Bay area, has formed a task force with the Hillsborough Sheriff's Office and GTE Corp. to develop the concept of putting phones on the Skyway connected to a suicide hotline. "If we do nothing, we continue to allow people to commit suicide without the chance of making contact with help," Vazquez said. "We have an obligation to do something." Ken Hartmann, the DOT's district secretary, says he is willing to listen to such proposals for suicide prevention. At the top of the Skyway, only a concrete wall roughly 31/2 feet high borders the apex of the main span of the 4.1-mile suspension bridge. The wind can be gusty at the top. The bridge sways slightly. The plunge to the water lasts about 3.5 seconds. Most people are killed when they hit the water at 75 mph, breaking their necks and rupturing their organs. Some live for minutes before they drown. Suicide barriers have successfully deterred suicide on other bridges and structures such as as the Empire State Building and Eiffel Tower, although no one knows if would-be victims merely choose another way to kill themselves. The Golden Gate Bridge District is in the final stages of developing a $2.5-million high-tech, metal wire suicide barrier for the landmark, where at least 1,200 people have died. A community coalition believes that a barrier will be more effective than suicide hot lines already on that bridge. But the idea has been controversial. "There is a lot of public sentiment about changes in appearance to the bridge," said Mervin Giacomini, district bridge engineer. The Hillsborough Sheriff's Office has suggested adding suicide barriers on the Skyway, but has been told they would be unattractive and expensive, said Doss, the sheriff's lieutenant. Among his jobs, Doss oversees six deputies who are trained to talk to people who threaten suicide. He also spent four years negotiating on the Skyway himself, although he is scared of heights. The Florida Highway Patrol, which often arrives on the bridge first, doesn't have such specialists. Doss supports installing hot line phones. "Most people have a temporary problem," Doss said. "If they pick up a phone and we can get someone up there to talk to them, there's a 99 percent chance they won't jump." If people can be prevented from jumping, research shows they may not go on to commit suicide other ways, says Richard Seiden, a psychologist and retired college professor in the Golden Gate coalition. Seiden studied 515 people who had been hauled off the Golden Gate over 40 years. Only 6 percent committed suicide in the next 20 years of their lives. Back at the Skyway, it costs about $1,200 each time the U.S. Coast Guard has to recover a body from Tampa Bay. But the cost in pain and suffering of the families who lose loved ones at the bridge is impossible to measure. Another recent victim was Daniel Israel Johnson, a 21-year-old senior at the University of South Florida. He died April 3. Johnson's body washed ashore at Egmont Key on Tuesday. Johnson studied management information systems in the College of Business. He had earned good grades as a McNair Scholar, a program designed to help low-income and first-generation students get into graduate school, said Denotra Lee, Johnson's college adviser. Friends described Johnson as responsible, friendly and articulate, sometimes introverted. He was an officer in groups for African-American business students. He was a hard worker. "Here is a gentleman who had really surpassed the stereotypes of the low-income black man," Lee said, crying in her office. "He could have walked out of the university with a $50,000 job. He had leadership, experience and the grades. His stock was very high. I don't know what could have happened. This is really devastating." Lee is organizing a fund to help pay for Johnson's burial and create a trust fund for his brother. Johnson is survived by his mother, Lathenia Eve Johnson, and a teenage brother, Jason, both of Tampa. His mother could not be reached for comment. Johnson was engaged to Felicia Hart, a 20-year-old Hillsborough Community College student. The couple had planned to go to Cancun, Mexico, this weekend for fun, Hart said. Friday evening, Johnson told her he was going to the mall, she said. Then he drove to the Skyway. "He did this for reasons we'll never know," Hart said. "We have to remember him the way that he was -- not the way that he left us." 05.28.17, Sister C., William David Chester, known as "Dave" to friends and family, is my brother. David had tried cocaine in the past but was not a habitual drug user. Whether he was on cocaine when he took his life is not known. He was a very handsome man with a great sense of humor, always making us laugh over silly things. Dave drove a cab in Sarasota, Fl. but grew up in Midland Park, NJ. His high school friends remember him with joy and fondness. Dave was married once and divorced. They had a daughter, who he had not seen since their divorce thinking that she was better off without him. He loved her very much but was filled with sadness because he was not in her life. He had moved from New Jersey to Connecticut and then lived shortly with me and my family before moving to Florida to join our grandparents, who had raised us. He loved them very much, as did my sister and I. Our biological mother, who did not live with us, committed suicide in 1967. Dave could never get over that and carried her picture in his wallet, along with one of his daughter when she was an infant. Dave introduced me to our biological father, whom we did not know, rather unbelievably on a new driving job he took. After about a week of training with his supervisor, he was called into the office and thought he was going to be fired. It turns out his supervisor was our biological father. They had the same name, but Dave went by his middle name. I have a very good with our father and step-mother ever since Dave's surprising encounter meeting our father. Dad was devastated, of course. Dave had attempted suicide other times in different ways before in years preceding 1998. My last words to my brother were "I'm glad you are alive," and he laughed. I never anticipated that he would then soon on Easter morning in 1998 jump from the Sunshine Skyway in Florida around 4:30 am. Sometimes I wonder if maybe he could have been talked out of it right before or if he fell when he changed his mind. I wonder if people who commit suicide are thinking clearly or in their right mind. I heard that there was a video taken from cameras on the bridge, but I never saw it. The police, as I remember, arrived at my door in NJ shortly after 5 am. I was in shock but went to church that morning, so thankful that Dave asked the Lord into his life while we prayed together when I visited him in Florida. Only God can understand why some people who are in pain and feel that their problems are overwhelming choose to commit suicide. It is devastating to their loved ones. I have my brother's wallet and note that he left in our grandmother's car atop the Skyway, but his watch was never returned to my knowledge. Our grandparents had raised us, and our grandfather passed away in 1992. My grand uncle identified David, who was alive after hitting the water but then drowned before the Coast Guard could get to him. Our grandmother was understandably heartbroken. She had him cremated and couldn't part with his urn of ashes. I held a memorial service up north for friends and family in 1998, and then after our grandmother passed away in 2004 I had Dave's urn with his ashes buried following an intimate service officiated by a wonderful, caring Pastor, the same week our grandmother was buried. I most feel for his daughter who never really knew him, and if she ever reads this, she needs to know that her father loved her and thought and prayed for her every day. I am so sorry it happened. I will never understand why people commit suicide, and I don't think I'd ever want to understand. One day when my time is up (and it will never be by suicide) and I'm in heaven, I will have many questions and then know the answers. David was a great sibling, and we were very close growing up. I believe he is in heaven, along with our mother and grandparents and other friends and relatives. Continue to rest in peace, Dave. You were and are loved. Maybe you already knew that. Maybe you know now. Love you forever and ever. A man jumped from the Sunshine Skyway bridge Friday evening, the Florida Highway Patrol reported, but a body had not been found for identification Sunday. Two troopers went to the top of the bridge about 6:45 p.m. Friday to determine why a man left his parked car and walked toward the edge of the bridge. The U.S. Coast Guard and Marine Patrol were notified the man had jumped but could not locate his body. The Hillsborough County Sheriff's Office is investigating. Lt. Greg Brown, spokesman for the Sheriff's Office, said it could take three to seven days for a body to float to the surface. The body of a 21-year-old man who jumped to his death from the Sunshine Skyway Bridge on Friday has been recovered, Hillsborough sheriff's deputies said. Daniel Israel Johnson of [address withheld] in Tampa was last seen driving on the bridge about 7 p.m. His body was found Monday at Egmont Key, deputies said. 10.19.09, Dylan C., Ellenton, FL., (03.28.98, 1:00am, male, hit water, died), Today I discovered your website while doing some research on my father who passed away from jumping off the Skyway when I was 5 years old. When I found his name I was, to say the least, astonished but overall very hurt that everyone could see his death tragically publicized in just a couple of words without even knowing the truth. I guess the thing I'm trying to say is that he's completely misrepresented on this website and the out of the 3 details you have, two of them are untrue. His name is spelled Fredrick, not Frederick. and he did NOT leave a note saying "someone should look for his body." The only source of information I have is from the actual letter which sits in my mom's dresser drawer. I would hope that's enough proof you to take it off. I'm not quite sure what source www.tbo.com has, but I can guaranty it's wrong. I'd tell you what it says but I feel it's none of anyone's business. My father was a great man, and just the description of the letter gives him the impression as if the only thing on his mind was to make sure someone found him. tbo.com, Stopped car on bridge, jumped. Body recovered immediately by boater. Sheriff's helicopters and U.S. Coast Guard boats searched Tuesday night for the body of a man who parked his car on the shoulder of the Sunshine Skyway bridge and jumped over the railing. Several witnesses said a middle-aged man jumped about 5:20 p.m. from the center of the bridge, about 197 feet above the water. The man had not been identified Tuesday night. Hillsborough sheriff's spokesman Lt. Greg Brown said deputies found a white Chevrolet abandoned in the emergency lane of the bridge. tbo.com, Witnesses saw him park his car on shoulder and jump off. Body found by boater next day. Authorities were searching for a woman they think might have jumped from the Sunshine Skyway Bridge Friday night. Hillsborough sheriff's spokesman Lt. Greg Brown said a brown 1986 Nissan was found at the top of the bridge about 8 p.m. Friday with its motor running and a suicide note inside. A second, more detailed suicide note was found in the woman's apartment. Authorities had not released her name Friday night, but had listed her as missing. The U.S. Coast Guard was searching for a body late Friday, officials said. Units from the St. Petersburg police and the Florida Highway Patrol were called to the bridge for several hours to direct traffic during the search. Brown said investigators would examine film from cameras mounted on the Skyway to try to confirm if anyone had jumped. 02.08.98, St. Petersburg Times, Police identify the Skyway jumper; St. Petersburg; Authorities have found the body of a woman who jumped to her death from the Sunshine Skyway Bridge Friday night, Hillsborough County sheriff's officials said. A Coast Guard vessel found the body of Donna Sarafian, 33, of 1975 West Bay Drive in Largo, about a half-mile from the bridge just before 1:30 a.m. Saturday, officials said. Sarafian drove her 1986 Nissan to the highest point of the Skyway's southbound lane about 7:45 p.m. Friday, left three suicide notes in her car and jumped off the bridge, officials said. Pinellas County sheriff's deputies alerted Sarafian's family after the body was found, authorities said. tbo.com, Drove to highest point on southbound side, jumped. Body recovered same day. 01.13.09, Christie G., St. Leonard, MD., My mother, Mary Joyce Sullivan jumped to her death from the Skyway. My sister and I were notified shortly after, told that her body was found in splattered pieces, there was a video recording of her jumping off from the bridge cameras, I wasn't allowed access to the video as per the coronor, my step-dad later sent me a tiny blue jar with some of my mom's ashes in it. I don't know if she left a note, maybe my sister knows. She may have already contacted you, her name is Ginger. If not, you can email me, I'll get with her and try to get the specifics. My step-father sent me an obit. clipping after wards, but in a rage once, I threw away everything related to my mom--stupid, I know. We are still grieving. She haunts my dreams, my thoughts. 05.18.09, Christie G., St. Leonard, MD., Was looking at the JumperPool page, and read some of the entries. The part about the bodies getting all scrambled up... Well, according to the Pinellas County coroner that I spoke with in '98, my mom splattered when she hit the water. Her body was found in pieces. They dragged what they could find of her. What was found, my step-father had cremated and sent a small portion of her ashes to me in a little blue, see-through jar that had a lid like a Grolsch beer. So, when I looked at the jar, I could see remnants of her, mostly ash, some small fragments.